About Me: I'm a children's book illustrator and writer based in Toronto, Canada. I love the quirky, joyous, exuberant. My illustrations appear in I'M BORED, a picture book written by Michael Ian Black, published by Simon & Schuster Books For Young Readers. A Junior Library Guild selection, I'M BORED was also chosen by The New York Times Sunday Book Review for its list of Notable Children's Books Of 2012. 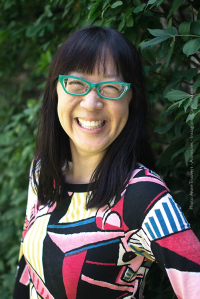 More info: http://DebbieOhi.com/bored Current projects include two new book projects for Simon & Schuster Books For Young Readers.